By default, QuickBooks Online has class tracking disabled. If you want to track classes using SellerZen, you'll have to first enable classes in your account settings. Go to the Gear Icon and then click on Company Settings. Click on the Pencil icon to edit and turn on Class Tracking. 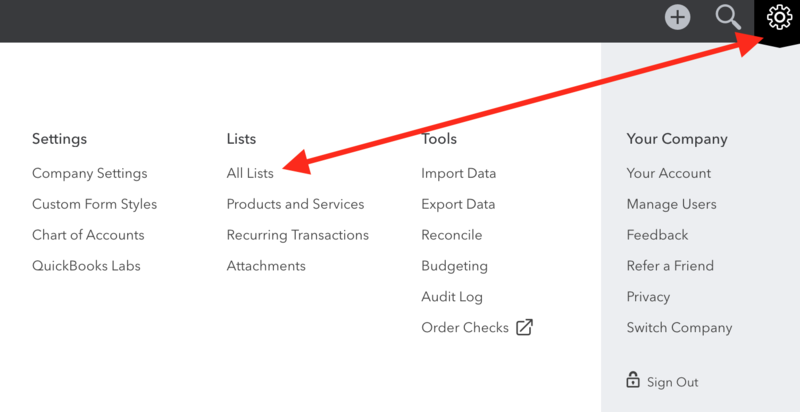 Click on the Gear Icon to view All Lists. Then click on Classes to view and add new classes. You can also make the new class a sub-class. For instance, you may have Kitchen, and underneath, sub-classes like Appliances, Utensils, and Cleaning.